Success in the National Football League is extremely difficult to achieve. For each of the 32 teams, making it to the playoffs is a significant achievement. Winning a world championship, though, is a whole other beast; one of the most difficult accomplishments in all of professional sports. When you enter the season as the reining Super Bowl champion, you will have a target on your back, which is exactly what the Denver Broncos are about to experience in 2016. Throughout time, repeating as Super Bowl champions has proven to be a nearly undoable task. The Broncos won Super Bowl 50 this past February almost entirely because of their historically great defense. In today’s NFL landscape, where the league’s hard salary cap makes it virtually impossible for teams to retain all of their top talent, dominant teams such as the 2015 Broncos can always plan on losing multiple key players during free agency — and that is exactly what happened. Denver lost a pair of starters in defensive end Malik Jackson and linebacker Danny Trevathan, and a couple of key reserves in defensive back David Bruton and Omar Bolden. More importantly, their best player, outside linebacker Von Miller, just completed a contract standoff with Denver’s front office after they used the team’s franchise tag on the Super Bowl 50 MVP. Miller rightfully has his sights set on becoming the highest-paid defensive player in the league, and was rewarded with a six year $114 million dollar deal. On the offensive side of the ball, the Broncos are in a different kind of mess. They have a major question mark at the quarterback position, where Mark Sanchez and Trevor Siemian are battling it out to replace Peyton Manning. Not to mention their offensive line is looking to rebound from a subpar 2015 season. Still, the oddsmakers for the sportsbooks in Las Vegas have the Broncos as one of the top five contenders in the league to win Super Bowl 51 this coming February. With that being said, here is a look at three teams within the AFC that the Broncos should be worried about in 2016. Over the past five seasons, the Patriots have emerged as one of the Broncos’ biggest rivals. As long as they have Tom Brady under center and Bill Belichick as their head coach, don’t expect this to change anytime soon. Bottom line, the Patriots are currently the odds-on favorites to win Super Bowl 51. Offensively, they have one of the greatest quarterbacks of all time, two All-Pro caliber tight ends in Rob Gronkowski and Martellus Bennett, an improved offensive line, and arguably the best slot receiver in the league in Julian Edelman. Defensively, the Pats aren’t quite as strong as the Broncos, but they still have one of the better units in the league. 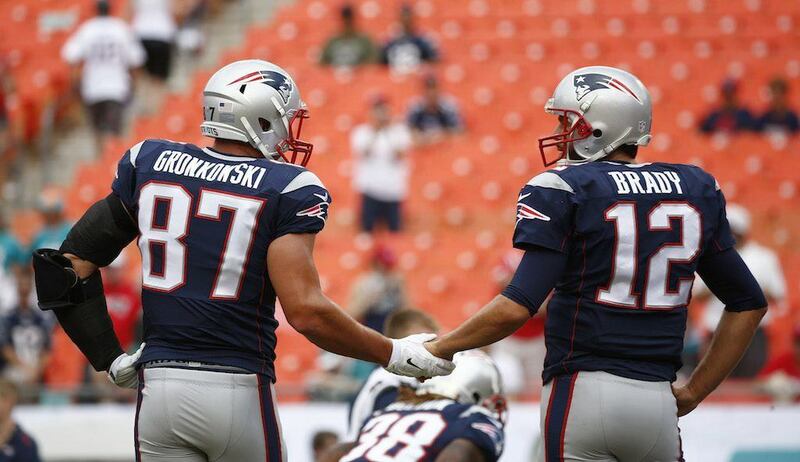 At this point in time, the Patriots look like a better team on paper than the Broncos. But in the end, we wouldn’t be the least bit surprised if they were the last two teams standing in the AFC this coming January. The fact that the Steelers have arguably the best offense in the NFL means that they will be a force to be reckoned with in 2016. The Broncos won’t have to worry about playing them until the postseason, but if they do, the Steelers have what it takes to end their quest for a second-straight Super Bowl title. Of all the teams in the league, the Steelers have an offense that matches up best with Denver’s dominant defense, and their quarterback, Ben Roethlisberger, is the best big-game quarterback in the league not named Tom Brady. Needless to say, the Broncos will have their work cut out for them if they face the Steelers in 2016. Many people believe that the Oakland Raiders are legitimate contenders in the AFC West. For us, we won’t believe it until we see it. The Chiefs are another story, though. They are the biggest threat to the Broncos winning their sixth-straight division title. When things are clicking for them, it’s not inconceivable to think that Kansas City has a fighting chance in the AFC in 2016. They have a solid offense only enhanced by the return of All-Pro running back Jamaal Charles. On the other side of the ball, their defense is easily one of the top 10 units in the league — especially if outside linebacker Justin Houston is 100% healthy. All said, we expect both matchups between the Chiefs and Broncos to be tightly contested and have serious postseason implications.